Vancouver! 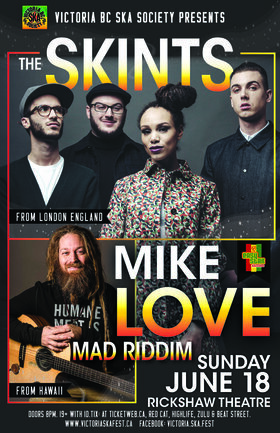 We proudly present to you a huge reggae triple bill with THE SKINTS, MIKE LOVE & Mad Riddim! 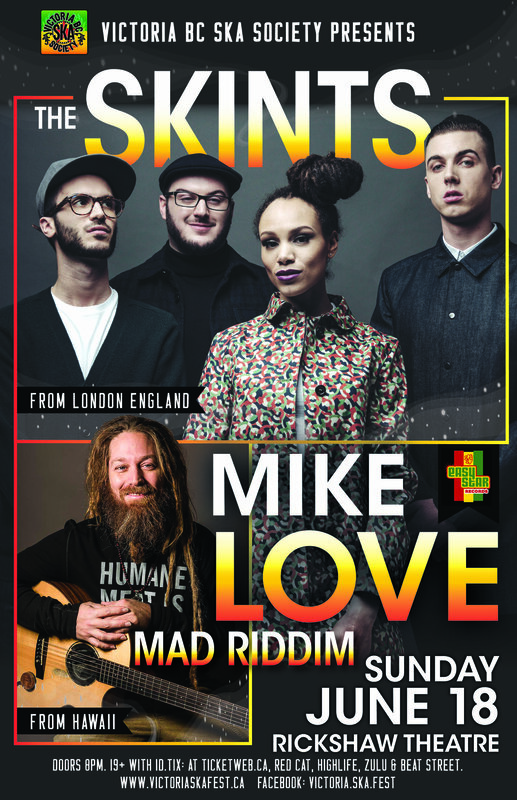 Fresh off their debut appearances at the Victoria Ska & Reggae Festival, The Skints and Mike Love are teaming up on the other side of the Strait to present a night of pure, unadulterated reggae goodness. This is a very special show that brings together two of the titans of modern reggae music, highlighting the yin and yang of reggae's roots. The Skints bring the grimy, gritty feel of big city living - reggae music delivered with a bite, while Mike Love comes with the breezy, lighter island vibes. Then to top if off we have Mad Riddim who are the reggae veterans of the scene. Mad Riddim was created by Vancouver's drum and bass duo Matt Reid and Richard Brown. Together the two are the go to musicians for arranging backing bands for major artists that have come to BC over the years. For those of you that remember, Mad Riddim opened for Lee Scratch Perry in Vancouver at The Commodore in September 2016. Come get down with us and start your summer right with one of the biggest,most important reggae shows Van City is going to see this year!